Kids love Halloween candy, there’s no question about that. Sadly, many children are unable to dress up in their favorite superhero costume and go out trick-or-treating on Halloween night. Each year in the U.S. alone, more than 27,000 children are diagnosed with a critical illness. Many of these children are living right here in Connecticut, in areas like Hartford, New Haven, Stamford, Danbury, or Bridgeport. Help to make a difference in the lives of these children by donating a car to charity this Halloween. 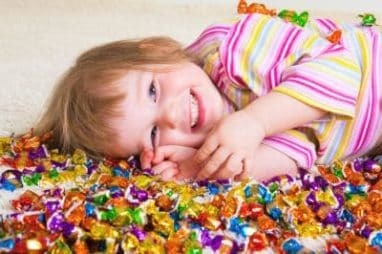 You could very well visit a local hospital to distribute Halloween candy to local children who are unable to participate in the fun festivities of Halloween this year. However, your services will go much further when you donate a vehicle to Wheels For Wishes, a nonprofit car donation program that benefits local Children’s Hospitals in Connecticut. When you donate a car, truck, boat, motorcycle, camper, or other vehicle (whether it runs or not), your vehicle donation will be auctioned off or recycled and the earned proceeds will be donated to local Children’s Hospitals in Connecticut. See how your donation makes a difference in the lives of local children by visiting our Wish Stories page. When you donate a car or other vehicle to Wheels For Wishes, you will be helping to fund essential medical equipment for children and their families who could benefit from the assistance, and you will also be assisting with the funding of medical bills or hospital stays. The average cost of a child’s hospital stay in Connecticut is $40,000. Your car donation makes a difference in the lives of Connecticut children and their families! If you do have a vehicle to donate, contact Wheels For Wishes today and we’ll pick up your vehicle whether it runs or not, anywhere in Connecticut. Even if your vehicle is stalled on the side of the road somewhere, we’ll take care of it. Just clean out your car, leave us the keys, and let us know where we can find your vehicle. Make your tax-deductible donation by calling us at 1-877-431-9474 or fill out our easy online vehicle donation form. Enjoy fast and free pick up, a great tax deduction, and the opportunity to help local children in your community.